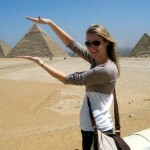 Our Women Tour programs are especially designed and tailored for female travelers in Egypt. We understand completely your concerns, we have organized for thousand women travelling alone in Egypt. We have added all necessary touches for 100% secure, safe and enjoyable tour. Our Tours are suitable for women of all ages and backgrounds, Ramses Tours provide a lot of special arrangements for single travelling women who fear being harassed or wish to be fully protected. We make our best to make you enjoy the most of Egypt. We can also provide female guides for any woman that doesn’t wish to be with male guides alone. We offer wide range of tour packages for women travelling alone , To make choosing your Egypt tour package easy for you each tour no matter how long, has prices ranging from budget to luxury & includes Easter and Christmas. We offer a wide range of Egypt Day Tours for women travelling alone to see Cairo, Giza, Alexandria, Luxor & everywhere in Egypt. 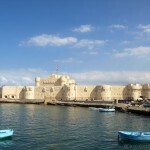 All our Egypt tours can be private or you can join a small group. our day tours start everyday and are fully customisable. Most travelers feel safer in Cairo than they do in their own cities. This is no different for single, female travelers. For the most part, EGYPT is safe to travel also for single females or girlfriends traveling without male companions. A lot of unpleasant scenarios can be avoided if the female traveler has the right attitude. Not just in her clothing, which should be sensible and modest. Both men and women will be asked about their marital status, name, whether they have kids or not, their age and so on. That is private business and not something travelers are obliged to tell any staff, local guides or people on the street. This is one of the common programs in Egypt. Kindly note that other programs can also be rearranged to fit with your requirements and women travelling. Is Egypt dangerous for solo female travellers?